The PIE is an independent media and recruitment company offering a market-leading portfolio of services for professionals working in international education. Our flagship website The PIE News is a widely read and highly trusted source of news and business intelligence about the global international education industry. Our readership and client base includes people working for educational institutions, education agents, service providers and government bodies. At educator level, our readers include business leaders and owners, directors, sales and marketing, recruitment and admissions staff working at higher education institutions, language schools, international schools and boarding schools. Our news website The PIE News reports daily on what’s happening in the international education industry around the world. 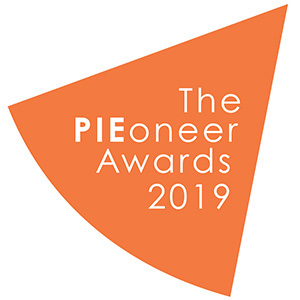 Our newsletter The PIE Weekly gives a bite-sized summary of some of the week’s news stories and latest jobs board postings. A quick and easy way of staying up to date. Our quarterly magazine The PIE Review, loved for both its unique content and great design, gives readers an in-depth analysis of the latest trends and talking points in the international education sector. Available in print and online. Our jobs board The PIE Jobs is a cost-effective way for international education companies to find new staff, and for people to find new roles in the sector, anywhere in the world. Our specialist executive search consultancy The PIE Talent, run by people with industry experience, helps companies source new talent without them having to do all the leg work, and enables candidates to find their perfect next job. Our consultancy service The PIE Plus connects investors and sellers in the #intled space, and runs consultancy projects either ourselves or by outsourcing to a consultant. Our services are for everyone around the world who is involved with international education. We created The PIE to make your working life easier – sign up to keep up!